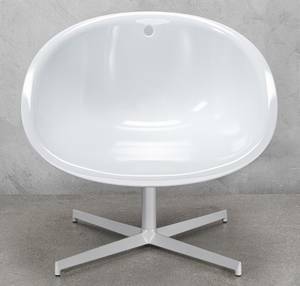 Description A contemporary star, Gliss Lounge has an aluminium swivel base with technopolymer seat in white or beige. The base is available in polished aluminium or lacquered white. Also available with an upholstered genuine leather shell, see related products below.